Food to Thrive | Fresh, delicious, crave-worthy recipes that will make your health, energy and wellness thrive! 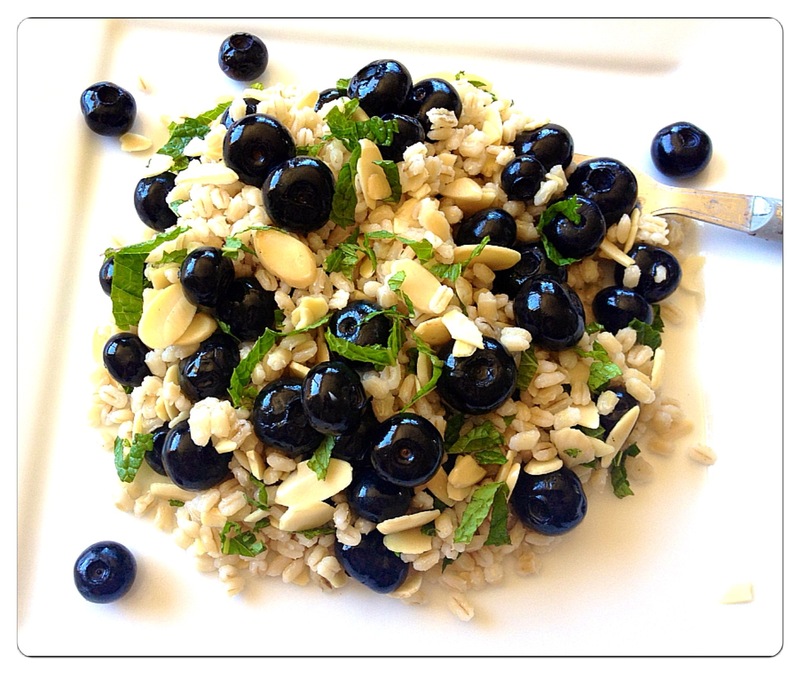 Fresh, delicious, crave-worthy recipes that will make your health, energy and wellness thrive! I LOVE Moroccan food. The spices are absolutely amazing and add SO much flavor to any dish. Every time I make a tagine, I always include some sort of dried fruit, it just pairs so wonderfully with the fragrant Moroccan spices. 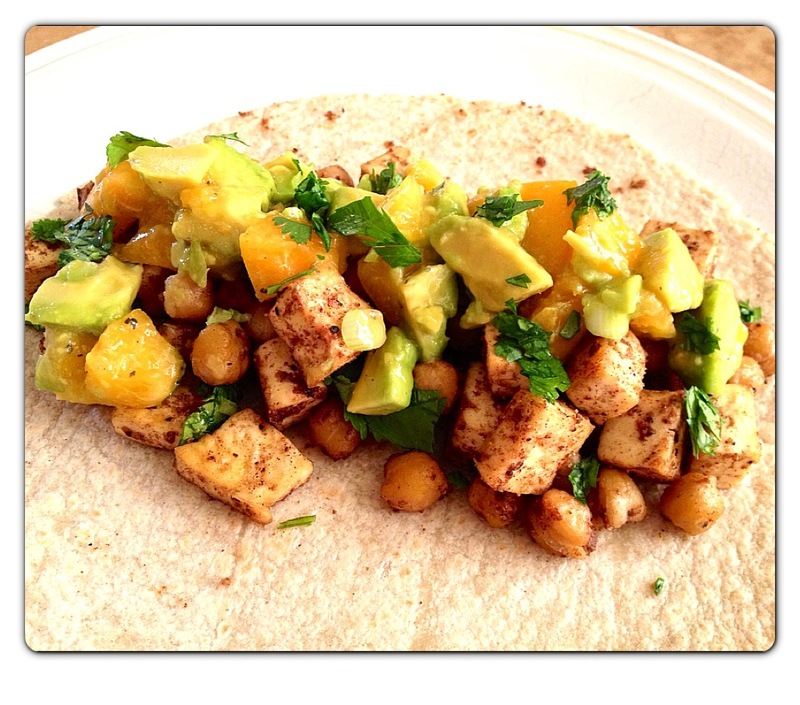 I thought it would be interesting to roast tofu and chickpeas in a luscious Moroccan spice blend, and top it with a fresh homemade apricot and avocado salsa to compliment the sweet and savory flavors. 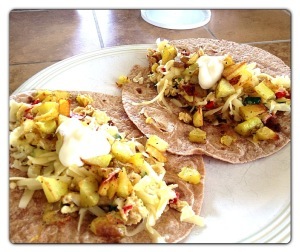 I was amazed at how delicious these tacos were; even my meat-eating friend loved them! They’re filling and loaded with healthy thermogenic spices such as cinnamon and cayenne. All the more reason to dig in! While the oven is heating, place your tofu on a folded up paper towel, or clean kitchen towel, and top with another paper towel. Place a pan on top of the covered tofu and place a can inside the pan; this will weigh down the pan and cause the tofu to excrete any excess moisture, making it perfect for roasting. After 15-20 minutes, flip over and complete the same process. After the tofu is done draining, cut into bite sized cubes and place in a large bowl. Add the chickpeas, lemon juice, sugar, cumin, coriander, cinnamon, olive oil, salt and pepper. Toss all ingredients together until tofu and chickpeas are coated with the spices, then pour onto lined baking sheet and roast for 20 minutes, stirring around halfway through. While tofu and chickpeas are roasting, make your apricot avocado salsa: in a small bowl combine apricots, avocado, scallion, 3/4 of a lime, juiced, cilantro, and a pinch of salt and pepper. Mix gently and set aside. Once tofu and chickpeas are done roasting, top tortillas with a 1/4 each of the tofu and chickpea mixture and the apricot avocado salsa. Enjoy! 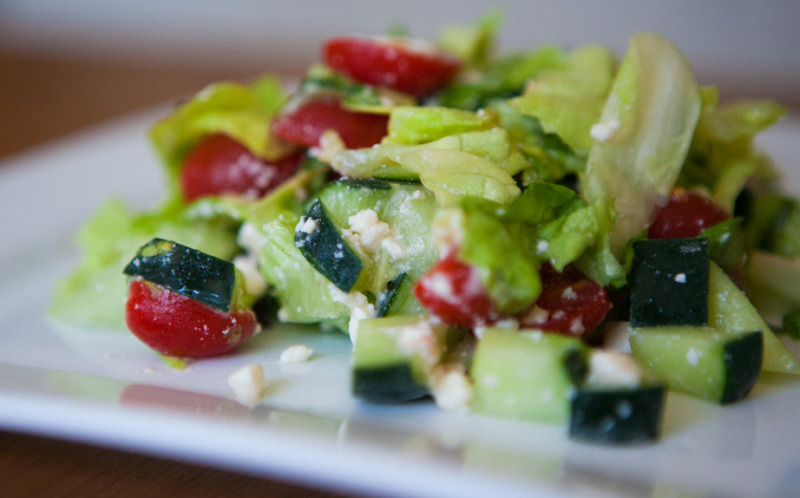 Simple, refreshing and delicious, this is a great quick lunch or dinner that’s full of antioxidants and healthy essential fats to keep you full and satisfied! In a large bowl toss barley, blueberries, mint, almonds and a dash of evoo until combined. Serve at room temperature and enjoy! 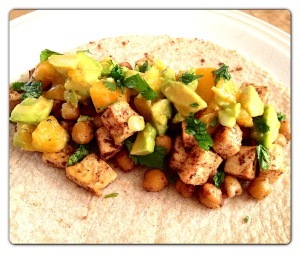 I am always looking for creative ways to make delicious, healthy tacos. Since butternut squash is at it’s prime for the season, I thought roasting it with smoky spices and topping it off with a fruity slaw would be a fabulous combination, and it was! If you’re not a pomegranate lover, you can always use regular salsa, which is just as delicious. These tacos are filling and full of antioxidants and essential vitamins such as potassium, Vitamin C and B6, and a wonderful change from the traditional meat tacos. Try ’em out tonight! Preheat oven to 400 degrees. While oven is heating up, toss your butternut squash cubes with a good drizzle of olive oil, the cumin, ancho chili powder, salt, pepper and lime juice. Toss until all pieces are coated, and roast for 30 minutes, flipping halfway through. While butternut squash is roasting, make the slaw: in a small bowl mix together cabbage, pomegranate seeds, lime juice, yogurt, pomegranate juice and a pinch of salt. Mix well. If needed, add more yogurt or pomegranate juice to the mixture. (If you choose to use salsa instead of making the pomegranate slaw, simply mix cabbage with prepared salsa). 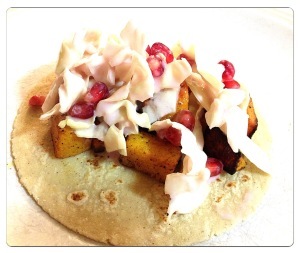 Once squash is done roasting, split between tortillas, and top with a generous helping of pomegranate slaw. Serve hot. I first made a batch of coconut black beans and I was AMAZED at how good they are! They so versatile, they can be used in stir fries, tacos, even salads, which inspired to make this tropical and refreshing salad. Crunchy romaine, sweet mango and buttery avocado pair perfectly with coconut black beans and a sweet and tangy coconut lime vinaigrette. Enjoy! The night before you’d like to serve your salad, soak the coconut black beans. Rinse your black beans and soak them overnight in a large bowl, making sure beans are completely covered with water (plus a little extra water). After the beans have soaked for 8 hours or so, drain them and give them a rinse. Pour beans in a large saucepan and cover with 1 1/2 cups cold water and 1 cup coconut water. Cover, bring to boil, then reduce heat to simmer and cook for 35-45 minutes until beans are tender (rule of thumb to test your beans is to try 5 beans, this will ensure the whole batch is done). If necessary, drain excess water and return beans to pan (do not rinse beans). Season with 1 teaspoon salt, 1/2 tablespoon coconut oil and lime juice. Mix well and set aside to cool. To make your salad, first make the dressing: in a small bowl whisk together lime juice, zest, coconut oil, cilantro, agave and a pinch of salt and pepper. Set aside. 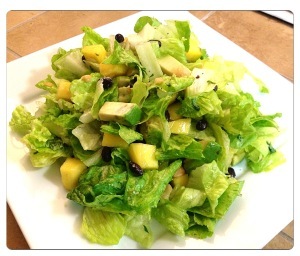 In large bowl toss lettuce, cooled black beans, mango, avocado and macadamia nuts. Drizzle with vinaigrette and toss well. Serve. *Coconut Black Bean recipe slightly adapted from Damaris Phillips. Leftover breakfast potatoes from brunch? Load ’em up with zucchini, onion, bell pepper and squash for a nutrient dense and filling hash, perfect for any meal! Heat a skillet over medium heat. Add onion, zucchini, squash, bell pepper and season with onion powder, granulated garlic, red pepper flakes, salt and pepper, and any additional flavorings you’d like. 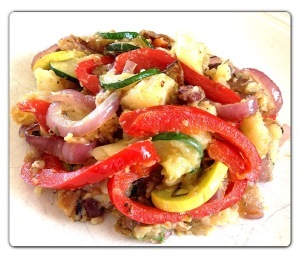 Once vegetables are cooked, toss in leftover potatoes and continue cooking until heated through. Top with shredded cheddar and enjoy! When I studied abroad in college, I had the pleasure of visiting Greece for 10 days, which turned out to be one of the most amazing places I have ever been. The people, the food, the culture, the beauty… all of it was amazing, and I cannot wait to go back. 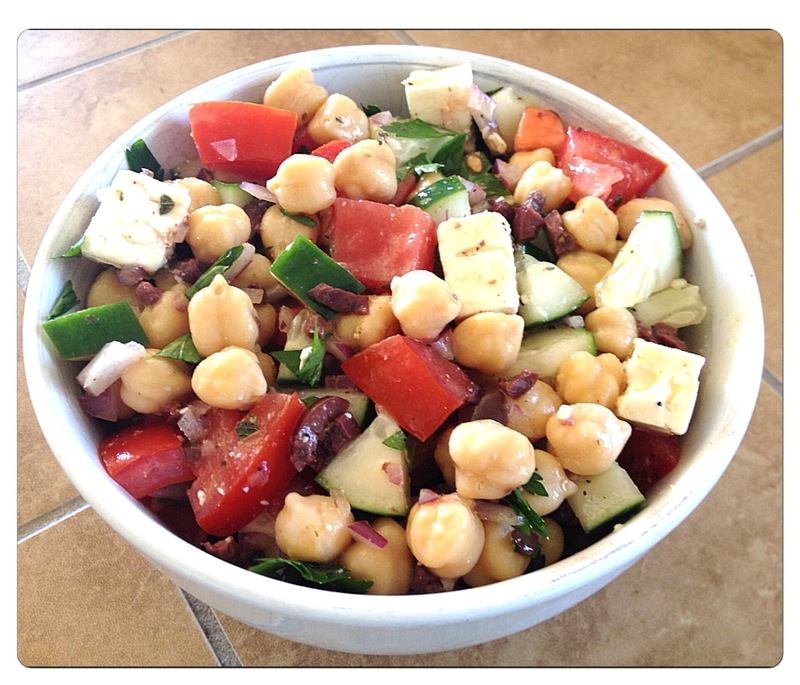 While in Greece, I absolutely fell in love with Greek salads (I literally ate them every single day I was there), and while this rendition isn’t the traditional Greek salad, I thought I would punch it up a bit by adding protein-loaded chickpeas, a lemony vinaigrette and fresh parsley for added brightness. Turned out to be delicious, perfect as a complete meal or hearty side dish. Hope you enjoy! To make the dressing: in a small bowl whisk all the vinaigrette ingredients together until combined. Set aside. In a large bowl toss chickpeas, cucumber, tomato, olives, onion, parsley and feta. Drizzle with vinaigrette and toss until combined. Serve at room temperature and enjoy! Dairy-free, gluten-free and vegan friendly, this salad is anything but boring. Sweet edamame, crunchy peanuts, spicy ginger and a savory Asian vinaigrette all mix together for a delightfully light yet satisfying salad. Filled with protein, healthy fat, and low glycemic carbohydrate, this dish is perfectly balanced to keep you energized throughout your busy workday. Plus, ginger is a great anti-inflammatory and can help to ease muscle pain and nausea, all the more reason to dig in! To make dressing: in a small bowl whisk together sesame oil, olive oil, rice vinegar, tamari, ginger, honey and a pinch of black pepper. Set aside. 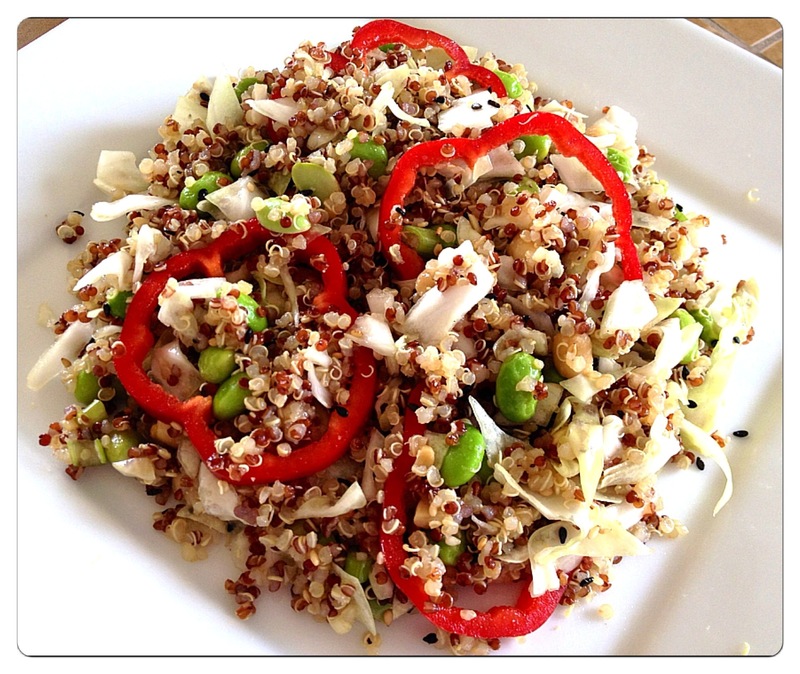 In large bowl toss quinoa, cabbage, edamame, bell pepper, scallion, peanuts and a sprinkle of sesame seeds. Drizzle with vinaigrette and toss until all ingredients are combined. Drizzle with more sesame seeds, if desired. Serve at room temperature. The baked potato, a classic American dish. Everyone loves them, but I wanted to jazz up this typical dish with something a little different. Enter the sweet potato; full of flavor and packed with vitamins and minerals, this vegetable is one of the most nutrient dense vegetables available, and ranks pretty low on the glycemic index, providing you with a constant source of energy. Plus, it’s so delicious and versatile! In this dish, I substituted the typical potato for it’s sweet, velvety, and ulta-healthy sister, the sweet potato. Cooked to perfection and topped with black beans, veggies and a sprinkle of sharp cheddar, this meal is so filling and chock full of essential nutrients for optimal health. Enjoy! Heat the oven to 350 degrees. Clean and dry the sweet potato, and piece with a fork all over, about 10-12 times. Wrap in aluminum foil and bake for 1 hour, until center is tender. About 10 minutes before the sweet potato is done, heat a medium skillet over medium heat with a dash of olive oil. Once warm, add diced onions and season lightly with a dash of salt. Saute for 2 minutes, then add in bell pepper, zucchini, shallot and mushrooms. Saute for another 2 minutes, and season with salt, pepper, paprika, cumin and chili powder. Add in black beans and saute for a minute or two more, until beans are warmed through and veggies are tender. Remove sweet potato from the oven and wait a few minutes for it to cool. Remove from the foil and make a large slit lengthwise, and a few slits along the width of the potato. With a little squeeze from both ends, the potato will open up and allow more room for stuffing. 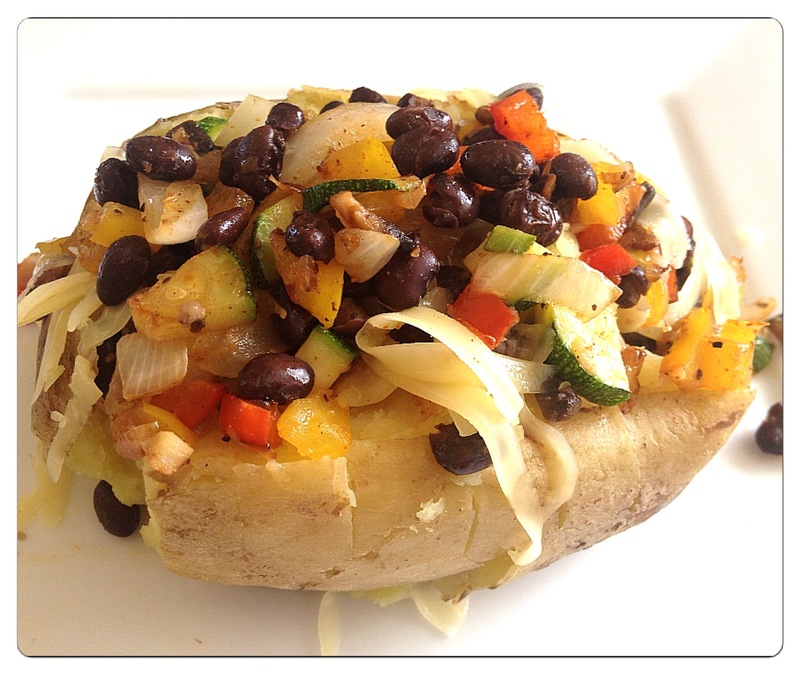 Stuff center of potato with veggie and black bean mixture, and top with shredded cheddar. Garnish with sliced scallion and serve hot. Enjoy! Lately I’ve been craving breakfast burritos. Like, nonstop. 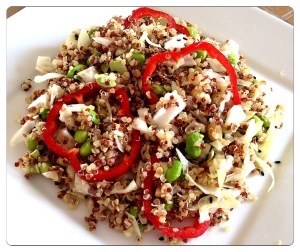 Not wanting to derail my whole day’s worth of calories, I whipped up this delicious health-ified version this morning. Hearty, filling, and full of flavor, these breakfast burritos were just perfect to satisfy my never-ending craving, loaded with veggies, eggs, and fresh roasted potatoes. Happy Saturday! Heat oven to 400 degrees. Dice potato into small bite sized pieces and toss with olive oil, salt and pepper. Roast for 20-30 minutes, flipping halfway through. Edges will start to crisp up; this is a good thing! It will add extra texture to your dish. In a small bowl, crack your two eggs and egg white, season with salt and pepper, and whisk together. Set aside. About 10 minutes before potatoes are done, heat a skillet over medium heat. Add a dash of olive oil and diced onion. Saute for a few minutes until onion starts to soften, about 3-4 minutes. Add in zucchini and bell pepper, and season lightly with salt and pepper. Saute the veggies for 4 minutes or so, then add in whisked eggs. Season a bit more with salt and pepper and continue to cook for a few minutes, until eggs are done. Remove from heat. Place warm tortillas down flat on a cutting board or plate. Top each tortilla with veggie and egg mixture, half of the potatoes, a dollop of sour cream or plain yogurt, and 2 tablespoons shredded cheddar. Wrap into burrito and enjoy! I love these little pieces of heaven; they’re perfect as a midday snack or tossed in a salad for a vegetarian rendition of buffalo chicken salad. Spicy, filling, and full of protein, these buffalo tofu bites are perfect to satisfy your buffalo wings cravings, on a much healthier scale! Preheat oven to 425 degrees. While oven is heating, drain tofu and set on a clean kitchen towel. Top with another towel and place a pan on top, then place a heavy can in the pan. This will weigh down your tofu and force it to excrete extra moisture, so your tofu bites will be firm and delicious! After 20 minutes or so, flip the tofu around so the pan is resting on the other side. Let this sit for another 20 minutes. After your tofu is done draining, cut into bite sized cubes. Toss with a little bit of olive oil, salt and pepper. Toss well and place on a baking sheet lined with aluminum foil. Roast for 30 minutes, flipping halfway through.You’ll see a little bit of crust forming on your tofu, this adds extra crunch to your bites! 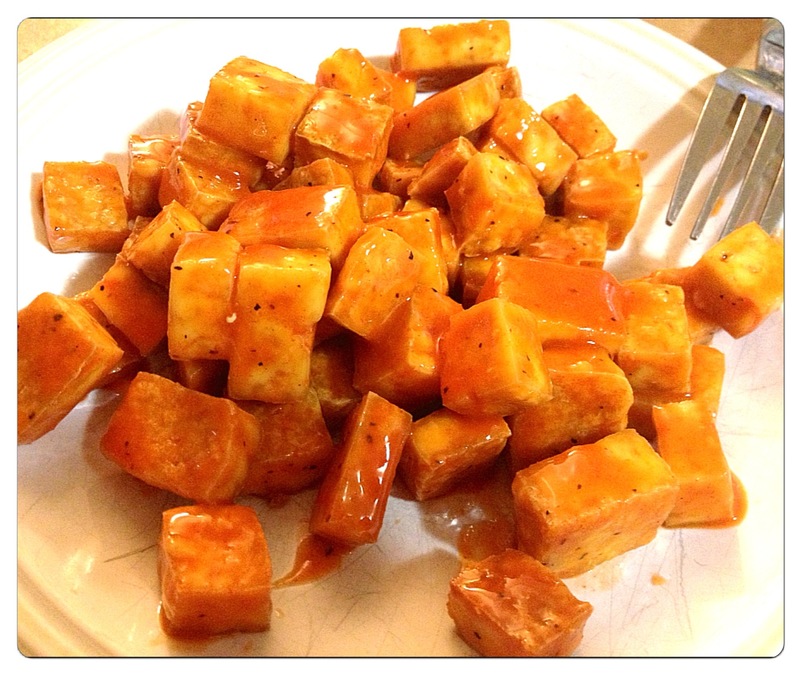 Once tofu is done roasting, place into a bowl and drizzle with your buffalo sauce. Toss well and enjoy!